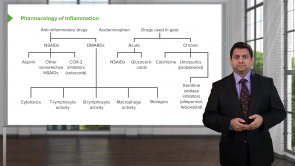 Discover the pharmacology of inflammation! The form circle of rheumatic inflammatory systemic diseases includes a number of diseases, whose etiology is mostly unknown. Due to the fact that specific antibodies are often found, diseases such as rheumatoid arthritis are considered autoimmune diseases. Therefore, the diagnosis of antibodies plays a significant role in the diagnosis of rheumatic diseases. The following article features two diseases, rheumatoid arthritis and Still's disease, both from the rheumatic disease form circle. Hyperuricemia and gout are two of the most common metabolic diseases in industrial countries. 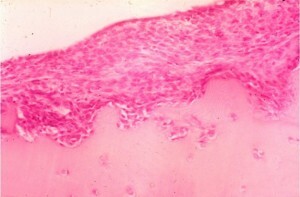 The exacerbated forms of uricemia are the acute gout attack and chronic gout. 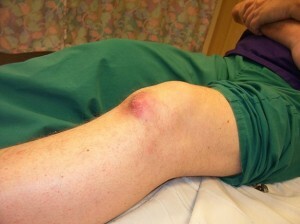 They are caused by the incorporation of crystalloid salts of uric acid (urate) into the joints. In the following article, we will present all relevant facts concerning gout. This way, you are perfectly prepared for all exams in the clinical part of the medical studies and for your final exams. When it comes to joint pain, it is mostly the cartilage that is inflamed and chronic headaches often result from neural inflammatory processes. Overcoming this pain will often seem impossible. 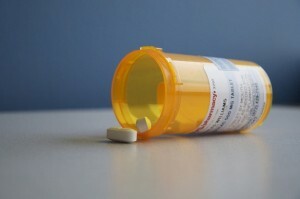 What is little known: Superhormones, which can regulate the hormonal balance of the body, exist – these are eicosanoids, derivatives of arachidonic acid, an omega-6 fatty acid. What effect do the arachidonic acid derivatives have on the body? How can inflammatory responses be influenced and rheumatic diseases completely cured? You will learn about this and much more, in this article! Dr. Shukle is a board certified specialist in internal medicine. He runs one of the largest specialty practices in Ontario, Canada. His area of interest is the stroke and heart attack reduction in high risk patients. He owns and runs a full functioning cardiac and diabetes suite that includes diagnostics, diet counseling, exercise counseling, and lifestyle support for patients with diabetes, cardiovascular disease, and arrhythmia. He is one of Canada’s most popular speakers. He performs over 150 special lectures across the nation each year with various audiences ranging from the general public, to nurses, to physicians, to medical specialists. His lectures are engaging, funny, and informative. In 2016, Dr. Shukle will be conducting a TED talk on using DNA as a memory storage medium. I love your lectures, you are such a talented proffesor. Great work. The best lecture and teacher. I like it very much. Grettings. best teacher eveeer! He makes it so easy! I want him as a teacher in my University! in peru! Thank you dr. Shuckle for putting the information in a way that we as students can understand it better. Since I've been using lecturio for pharmacology everything started to make sense. I was very worried I would never be able to understand and know all the aspects of differt drugs, because no one explained them to me as good as professor Shuckle. I like it very much because after a clear clasification of drugs and explaining each one, doctor Shuckle introduses personal experience( pericarditis treated with aspirin) which made me remember some things better. I like very much that at every course there are questions! You really saved my career as a doctor with this site and these courses. High quality content! Thank you very much for the support and also I appreciate lecturio asks us to give feedback and takes time to read it. Thank you dr. Shuckle for putting the information in a way that we as students can understand it better. I'm very happy! Very succinct and clear material. The delivery was great and the organization of the material was easy to follow. This presentation is very interesting and very good structured. Congrats.